Please provide your bike model and year. Type 1 is designed for smaller engines and twins. Upgrades the charging system on very early rectifier-only models by simultaneously regulating and rectifying the total stator output. 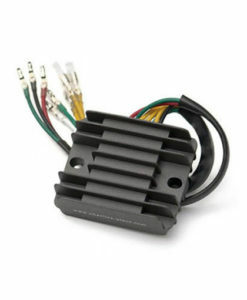 Also able to upgrade charging systems on other models by replacing individual regulator and rectifier with a single-unit that simultaneously regulates and rectifies the total stator output. Eliminates redundant unnecessary wiring from original charging-system wiring, thereby reducing long-term potential for other problems. Fits very neatly into existing rectifier bracket on all models with no modification necessary. Easy to wire-in and comes with complete step-by-step instructions. Superior to anything else on the market by design, our units utilize the total output from the stator thereby improving your charging system from its original configuration. Our units are time-tested and superior to other options currently on the market; as such we offer a 1 year warranty providing all instructions are followed. Using these units with a battery that has been compromised by the old charging system or with a stator that is not functioning properly is not advisable, as it will severely compromise the performance and longevity of the unit, and, therefore will necessarily void any and all warranties. All orders must be a minimum of $20. 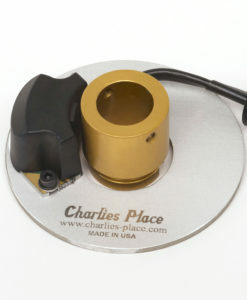 For international orders, please email us directly: charliesplaceorders@gmail.com. Payments for international orders will only be accepted through PAYPAL. Returns will only be accepted on unused items in sealed original packing, within 10 days of the order received date and may be subject to a 20% restocking fee. Shipping costs are the responsibility of the purchaser. We do not pay for return shipping on returned items, or refund original shipping charges. We do not accept returns on electrical items.